Greetings from Tixilo! We take pride to announce our cab offerings in Pune. Considering its Smart City status, Tixilo too is trying to offer the best cab rental services in the city to match its rich lifestyle. We provide excellent services across the length and breadth of the smart city. Why to choose a Tixilo cab in Pune? At Tixilo, we believe that a satisfied customer is key to business development. Thus, we continually strive to provide top notch services, each time every time. We provide cab rental services that let our customers navigate through the bustling lanes of the city without any hassle. Our drivers are well informed about the places of interest, market places and all major hotspots in the city. This provides extra convenience to our customers. Our heavy fleet of vehicles ranging from a hatchback to an SUV. This makes us a flexible medium that serves all sizes of customers while making sure that their travel needs are met. Taking cue from the smart culture that changed our lives to the core, we too have developed our services to the next level. 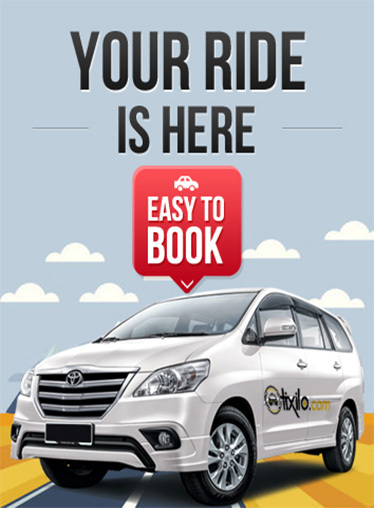 Tixilo offers cab booking facility within a few clicks. The app makes it easy for booking a cab/taxi online. Knowing the tariff, and it also provides additional convenience of modifying and cancelling your booking. We provide one way, local and outstation travelling very convenient and affordable with our hourly packages. Out outstation packages start from 0$ for 4 hours.